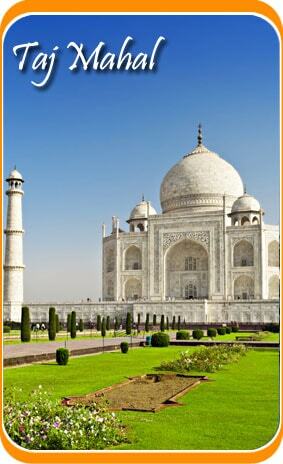 One of the most frequently demanded tours of India includes three cities- Delhi, Agra and Jaipur with Goa. These three jewels among cities of India are an amalgamation of all that you expect from a trip. From History to culture, you'll witness every color of heritage in these three cities. Combining Golden Triangle with Goa would be a perfect tour package as it will give you the requisite quirkiness in a trip. Enjoy as you embark upon one of the finest trips!! Guided tour to various monuments and forts like Red Fort and Qutub Minar. Exploring Old and New Delhi. After arrival at Delhi check in to the hotel pre-booked for you. Cover all of Delhi by exploring the streets of Old and New Delhi. Visit places like Red Fort, Laxmi Narayan temple, Rajghat, Humayun’s Tomb and the Qutub Minar Complex. Stay at hotel for the night. In the morning we leave for Agra by road. After reaching Agra, check in to the hotel and relax for a while. Later, visit the Taj Mahal and the Agra Fort. Also visit the tomb of Itmad-Ud-Daulah. Stay at the hotel for the night. Leave for Jaipur by road the next morning and en route stop over at Fatehpur Sikri –the ruins of a town which was once the Mughal Capital. Other fascinations include Jodha Bai Palace, Panch Mahal and Birbal Bhavan. After reaching Jaipur, check in to the hotel and take rest. 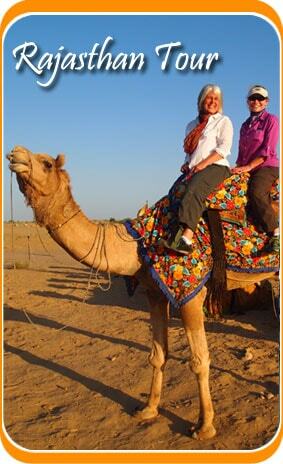 Hit the streets and take a trip to Amer Fort on an Elephant back. Places which you cannot miss visiting Jaipur include City Palace known for its amalgamation of Rajasthani and Mughal architecture, Nawab Sahab ki haveli and the local bazaars for souvenirs . Stay at the hotel for the night. Catch a flight for Goa from Jaipur Airport. Upon arrival, check in to the hotel in Goa, which is pre-booked for you. Stay overnight in the hotel. Consider this half day trip in Old Goa a bonanza if you are interested in art, history, culture and atmosphere of a place. Visit churches and cathedrals which were built during the 15th century. Places to visit include: Se Cathedral, Basilica of Bomb Jesus and St. Francis of Assisi. The rest of the day is at leisure. Stay at night in the hotel. Explore the beaches of Goa and get a tan in the sun. The whole day is booked for various ventures at the beaches of Goa. Stay overnight at the hotel. Enjoy the beauty of Goa in the morning. In the evening take a flight to reach Delhi. Check in to the hotel and rest. In the morning take a flight to your Home country from Delhi Airport. Your Golden Triangle with Goa tour ends here..